James E. Luttrell, 85, of Morton, formerly of East Peoria, passed away at 11:40am Sunday, May 20, 2018 at Apostolic Christian Restmor in Morton with his daughter and grandson by his side. Jim was born May 16, 1933 in Galesburg to Otto J. and Janet B. (Reid) Luttrell. He married Norma Walraven on March 15, 1957; she preceded him in death in 1987. Surviving are two daughters, Jamie (Don) Luttrell- Houlihan of St. Louis and Kelly (Will) Taylor of Pekin; grandchildren, Sable and Emily Taylor, and Shane Luttrell; and one great-grandson, Braiden Salter. He was also preceded in death by his parents; and siblings, Richard Luttrell and Barbara Smith. 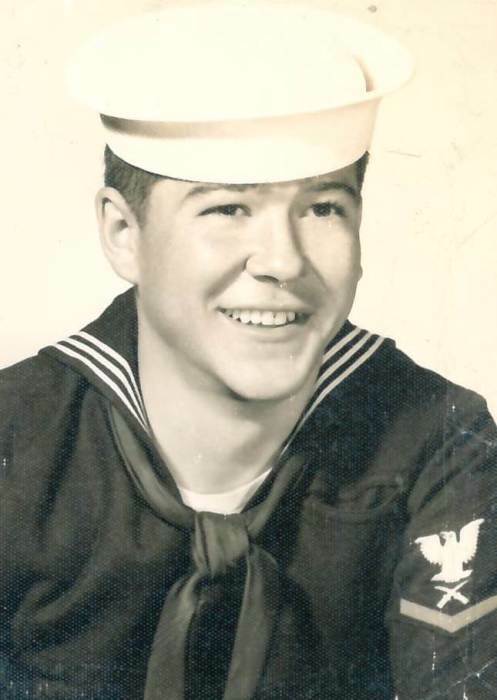 Jim proudly served in the US Navy aboard the USS Plymouth Rock. He went on to work for Caterpillar Tractor Co. in East Peoria for 41 years. He was an avid hunter and fisherman and enjoyed golf and bowling. Jim had a great sense of humor and loved to joke around with his friends. The family would like to thank the caring staff at Apostolic Christian Restmor. A funeral service will be held at 11:00am Saturday, May 26, 2018 at Deiters Funeral Home and Crematory in Washington. Visitation will be one hour prior to the service at the funeral home. Interment with military honors will be at Hillcrest Memory Gardens in rural Morton. In lieu of flowers, memorial contributions may be made to TAPS No-Kill Shelter in Pekin.